I never cared for sun-dried tomatoes. But slow roasted tomatoes are a different story. Tomatoes. Any kind, any size. Sliced. 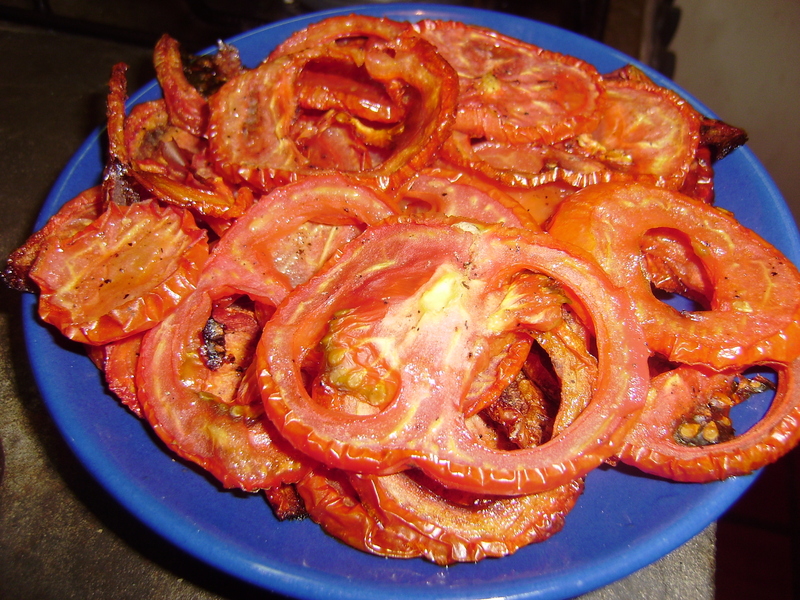 Place your tomato slices on a tin foil lined baking sheet. Mix together your spices, and sprinkle over tomatoes. Turn the tomatoes over and do the same to the other side. Place in a low heat oven (we’re talking 200 degrees F) for 2 hours or so, until the edges are wilted, and most of the moisture is gone. Then enjoy. They go with everything. Thanks for this idea. 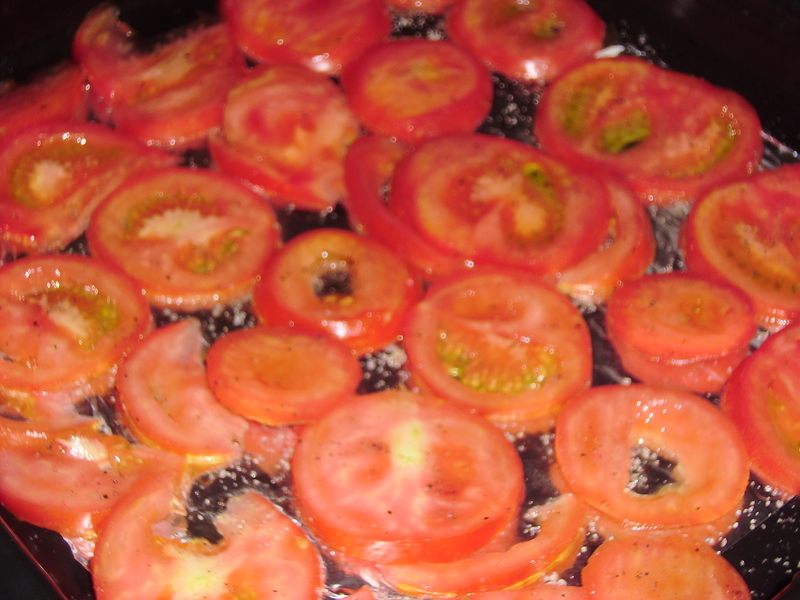 We are having lunch for 14-15 serving hot crab sandwiches and these tomatoes will be the perfect addition to the plate. That sounds so delicious! These would be great with hot crab sandwiches! Pesto Chicken Empanadas | .My.Beautiful.Air.